"It's easy when you use Armorial Gold art"
Our vector based Heraldry Clipart and Symbols we offer are in full colour. You have your choice of two file formats: the WMF Windows standard, and CorelDraw which also opens in Adobe Illustrator. We suggest you ask for a Heraldry art sample before purchasing. The beauty of vector clipart is it does not lose its quality or resolution when enlarged, unlike bitmap-type files. Vector images are made up of drawing commands for lines curves and colors that can be rendered as large as needed while retaining crisp edges and sharp detail; All of our heraldry clipart is hand-drawn by our artists to provide for the highest quality, and our heraldry and art research material is drawn from our large library of original antiquarian historic works on Heraldry and historic art. Some of our manuscripts date back into the 1600s. Our Heraldry Clipart collection features over 16000 individual pieces, the largest available anywhere and the art is only available on this site. Along with the Gold Collection that offers everything needed to create Heraldic art and Coats of Arms, Crests or Family Badges we also offer collections of ready made vector Coats of Arms. We offer Coats of Arms and Badges from Portugal, Italy, Poland, Wales, England, Scotland, Ireland, Germany, France, and Spain. We have family badges like our Scottish Clan Badges collection and Bookplates (Exlibris) pre-made or the art that you need to create them. The Armorial Gold clipart collection has thousands of images and provides you with all the tools you need to design coats of arms for yourself, family and friends or as a business opportunity. It's easy to design coats of arms when you use Armorial Gold Vector Art. Our image files have been created specifically with ease of editing and recoloring. In addition to our heraldic clipart we also offer related imagery such as our Knighthood Orders collection, Mythological creatures and gods in our mythology collections, including Egyptian Gods, Heraldic and historic alphabets, Beautiful vector illustrations of birds of prey, Ecclesiastical art such as our Saints collection and some whimsical offerings such ans our Concert Lions collection. Our site offers free educational resources that include an extensive list of historic Family Mottoes, Heraldry History, How to Blazon, Details of Heraldic Symbolism, a dictionary of Heraldry and heraldic terms, links to other heraldry resources on the web, and a complete Heraldry Learning Centre. Your purchase includes access to some members only bonus resources and tools. Currently the bonus features are being offered to all customers that made a purchase all the way back to 2001. Free Download access to our extensive collection of Tartan images. Search functionality that lets you easily find the information or images that you need. A thumbnail browser that lets you see preview images for the art for cases where your operating system does not offer the ability to thumbnail of preview images without opening them. 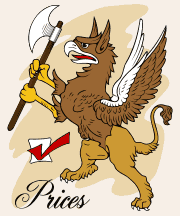 Blazon and Motto search either by name or contents allowing identification of unknown arms or mottoes. Additional educational resources including a translation French to English dictionary that aids in deciphering French heraldic terms. Note: Free bonus features subject to change or termination.